Knowing how to apply concealer perfectly, can sometimes help you save your whole look. Haven’t slept in a while and eye bags are growing, just apply a small amount of concealer, and you are good to go. Same goes for sudden pimples breakouts too. Whenever you have got to go somewhere important, your skin will start acting up. Thankfully, if you know how to correctly put your makeup on, it will be helpful. Sometimes while trying to cover up your marks and scars, you end up putting a lot of stuff on your face, that gives you cakey look. Here are some tips, that will help you in putting your concealer on in a better way. Whether you like to apply concealer or not, the primer is a must for every makeup routine. There is a noticeable difference in the results. If you do not apply primer before there are more chances that your skin will not absorb it fully, and the makeup will on set on your face. Thus, there will be more chances of getting cakey looks plus, primer helps your makeup look fresh all day long. Applying concealer at first will be the biggest mistake, that can ruin your whole makeup look. Concealers are designed to be applied at the end. First, you have got to form a whole base to tone up your skin. Do some fine blending. 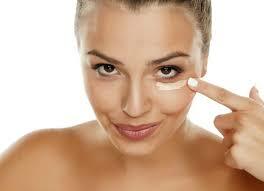 When you are done, if there are still some places that need extra coverage, then you have got to apply concealer. Also, if you apply your concealer first, there are good chances that you will wipe it up while blending the foundation. Seeing the fact that concealers are ridiculously expensive, you perhaps do not want to waste any. This is one of the most important tips, never use a massive amount of concealer all at once. Sometimes when people need to cover up a large area or very visible spots, they go for the massive amount of concealer all at once. This is a very wrong approach, most of the concealer will go to waste, whilst you are trying to blend it. Apply a small amount of concealer at first, then blend it. If you think it needs more coverage, then apply small amount again and blend. Repeat this procedure, until you are completely satisfied. There are many brands from which you can choose but first check the reviews first. You can check Best Concealers Reviews. One of the biggest mistake people do is that they apply concealer all over the place and then do the blending. Apply concealer one by one, otherwise, it will dry up and blending it will become hard. Plus, do not rub your concealer, dab it. dabbing will help the concealer settle in the pores, whereas rubbing can cause irritation and will not be helpful for fine blending. Blending is one of the most important factors, if you do it right, you have got your makeup game strong. Consider the fact that concealer is going to take time to settle. Blend it, give it 5 minutes and then blend again. What To Look For When Buying An Epilator? How to choose the best cookware set?